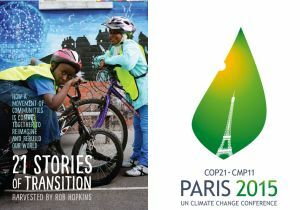 On Monday we launch our new book ’21 Stories of Transition’ and today we begin our build up to COP21 in Paris which starts at the end of the month. Often our default setting as people who are motivated by climate change is to lobby, demonstrate and campaign to try to bring pressure to bear on those decision makers to make the best deal possible. And yes, of course that stuff matters, and there’s a lot of it ramping up for COP. But in many ways, the world is already changing, and it’s happening at pace, it’s fast and it’s deep. Are we expecting COP21 to be that moment of fireworks and dancing elephants, a ‘Great Change Moment’, when people dance in the street and subsequently put plaques up to immortalise the moment for their grandchildren? If we are, we’re missing the point. The Great Change? We’re in the middle of it. If you believe things aren’t changing, you’re looking in the wrong place. More and more forms of renewable energy, such as onshore wind, are now the cheapest form of electricity in many places. Even the CEO of Shell, Ben van Beurden, now says "in the years to come, solar will be the dominant backbone of our energy system". Towns and cities around the world are taking the lead, far outstripping their national governments’ carbon reduction targets. The Bank of England, among others, are now warning of ‘stranded assets’ as a result of the ‘carbon bubble’ with Governor Mark Carney warning that losses could be "potentially huge". Prince Charles recently told a meeting of fossil fuel investors if they wanted to be remembered as "future makers or future takers". 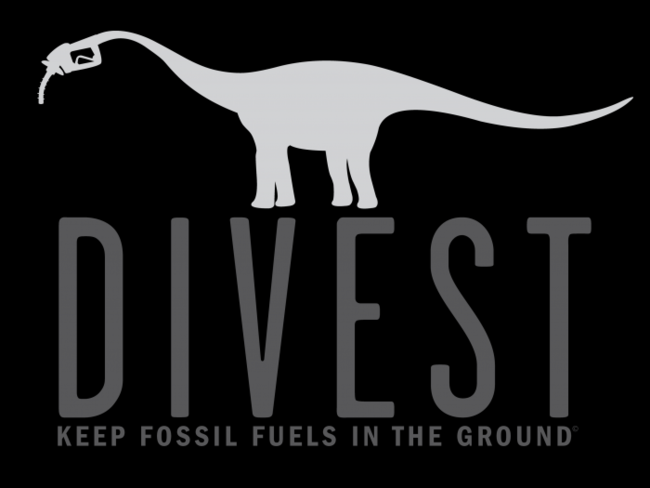 The divestment movement is growing fast, a trend you want to be the first to act on, not the last. Coal is finished. The US coal industry has lost 76% of its value in the last 5 years. The oil industry is increasingly aware that the writing is on the wall, BP for example recently acknowledging that due to concerns about climate change, it is unlikely now that fossil fuel reserves will ever be fully exploited. Shell recently abandoned drilling in the Arctic, "for the foreseeable future" because it found so little oil. Support in the UK for onshore wind continues to grow, with a new government survey finding that 74% of people saying they’d be happy to have wind turbines near them, and only 24% being happy to have fracking, with women, interestingly, far more likely to be opposed to it. China aims to quadruple the amount of solar it has installed by 2020. The Pope has spoken out on climate change in a way unimaginable a few years ago, framing climate change as a moral issue, as has the Islamic Declaration on Climate Change, and the Dalai Lama. Even the G20 leaders have talked for the first time of "phasing out fossil fuels". Even if their proposed deadline, 2100, is actually 70 years too late, it is still important that the language of the end of fossil fuels is now out there and running through our culture. COP21 is acting as the catalyst for many organisations, businesses and governments to refocus on climate change, move finance into climate change, put pressure on governments to create a stable environment within which to build a low carbon economy. All manner of shifts and realignments are going on behind the scenes. And the politics are changing to accommodate this new worldview, for example I was inspired recently by this piece about the Global Network of Rebel Cities. Then there’s the rise of Podemos and other movements, and the incredible laboratory for new approaches that Latin America is becoming. The ousting of the Harper government in Canada also gives COP21 increased possibilities. And these are just the measurable ones. What of the relationships built, the degree to which people feel more hopeful, skilled, connected, positive, resilient? What are the gardens actually growing? What are the community energy companies actually generating? What are the construction projects actually building? And these are just a fraction of the thousands of Transition groups in now over 50 countries. And these are just a fraction of the wider, diverse, and innovative networks of grassroots responses happening around the world. This can no longer be dismissed as "a few do-gooders making community gardens" (as Transition was once rather patronisingly described to me). This movement of bottom-up approaches, whether it’s called Transition or not, is happening everywhere, and it’s moving mountains. I remember COP15 in Copenhagen. I didn’t go, but the sense of crushing disappointment it created took the climate change movement many years to recover from. What so many of us were expecting and desperately hoping for was a Great Change Moment, when world leaders and corporations would realise that they had made the most appalling mess of everything, would then embrace with great gusto the opportunity of creating a more resilient, low carbon, sustainable future and remodel capitalism accordingly. With hindsight, that was a somewhat unrealistic expectation. When it didn’t happen it felt dark and desperate, like the greatest dereliction of duty imaginable. With COP21 just over 4 weeks away, might it be that a longing for a Great Change Moment means that we are psyching ourselves up for another bout of crushing disappointment? But those Great Change Moments rarely ever happen, and if they do, they are desperately few and far between. 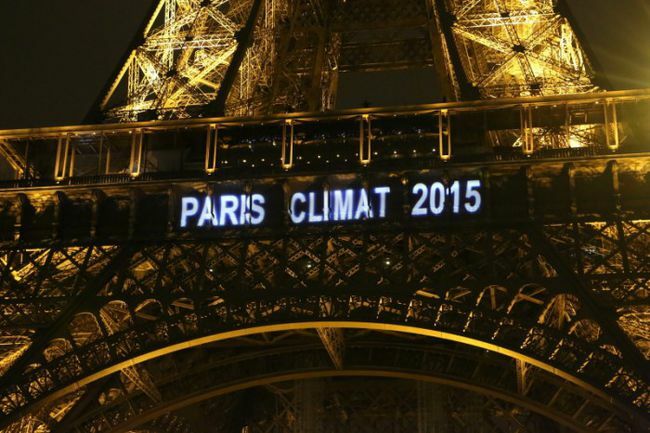 People are already writing off COP21 in Paris as a waste of time. It is increasingly clear that it won’t result in an agreement that will limit the world’s emissions to less than 2 degrees, which is, after all, the point. So it’s a waste of time then? I don’t think so. Change happens in interesting ways. 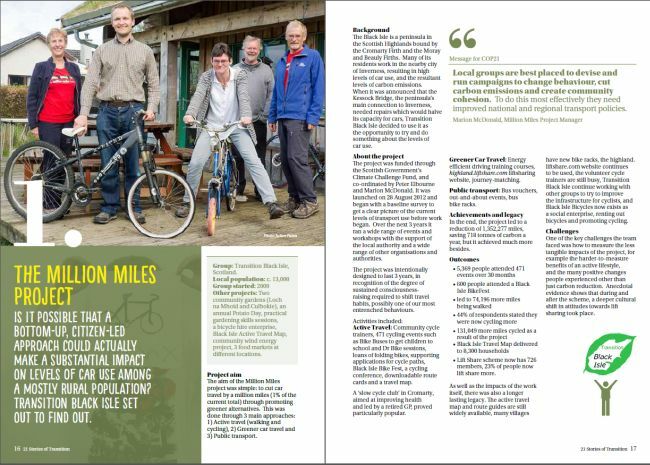 For example, recently, a community campaign where I live challenged a large local charitable landowner’s land use decisions, in particular its decision to submit large swathes of land for development. The community campaign questioned the link between the organisation’s stated values and its actions. Looking back in hindsight, it’s interesting to see how the change unfolded, and how there is no one single Great Change Moment to point to. But at the moment when the then CEO of the organisation was brazening it out, telling everyone how the organisation was listening and responding when it was clear that he really wasn’t, actually the ground had been eaten away from under him, and it was empty words, and a month later he had stood down. Events were moving, the world around him was changing, he had been left behind. 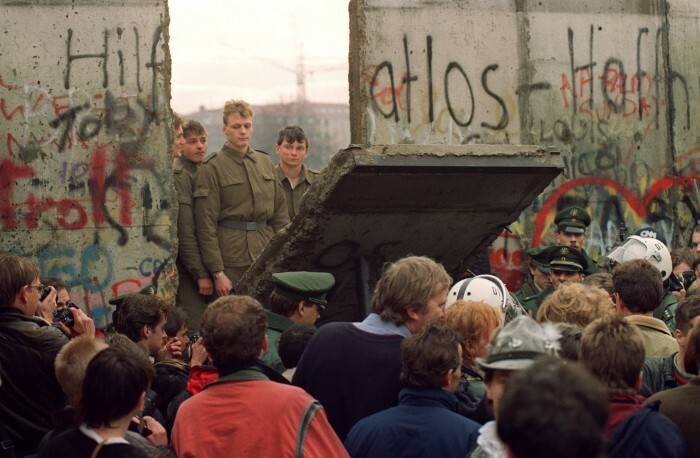 Similarly the GDR, East Germany, looked to be robust, powerful and permanent in the days before the Berlin Wall came down. In reality, we now know, it was holed below the waterline, undermined by the number of young people defecting to the West, corruption, rigged elections and much more. But until the Wall came down, you’d never have known. So how can we know, in the moment, which point in time we might point to as the moment when the change actually happened? While Paris looks likely to not be that Great Change Moment, perhaps it is we who need to take a different approach here. Our role in Paris, or during that time, in my opinion, is not to see this event as a Great Change Moment, rather as just yet another important step in the ongoing – and of course massively urgent – building of a new, low carbon world. Instead, we should focus, during that time, on celebrating what is already happening. And there is much to celebrate. The stories of change outlined above tell us far more about what is already moving than what is thrashed out in a vast, soulless, air-conditioned conference centre. And those trends are growing, building, regardless of what is decided. Rather than give our power away, surrendering the degree to which we believe a low carbon world is possible to the wording of an agreement made between leaders, we need to take it back, to state clearly, loudly and often that it is they who risk being left behind here. 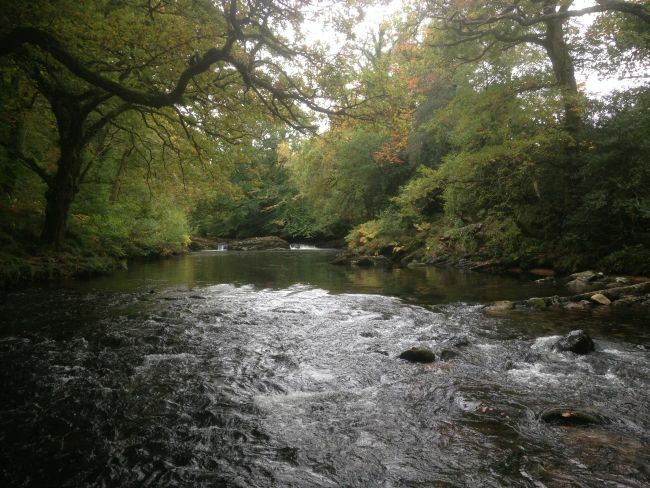 Like the local campaign with the landowner I mentioned earlier, what is agreed at COP21 is just a moment in a longer process, a snapshot of a rapidly flowing stream. What is happening beneath the surface, the currents that are set, the infectious nature of ideas, the human disinclination to be left behind and seen as being out of touch, the way that tipping points work, are all really the great unknowns here. And as ’21 Stories of Transition’ shows, we have so much more power in this than we might think we have. "Our job is to make viable the alternative and have it ready. If we’ve really done our homework, we could scale this thing in a flash". It is to building that viable alternative that I put my shoulder. It is celebrating that viable alternative that will be the focus of my time in Paris in December. I was recently in Hannover, and spoke, along with Germany’s Environment Minister, at an event that was that region’s ‘On the Road to COP21’ event. It was fascinating to see how, in those discussions, Transition, and other approaches to bottom-up organising, were a missing piece of the puzzle. They had no idea how to mobilise communities, indeed they recognised that they weren’t the people to do it. For many years now the fossil fuel industry, and associated industries, have collaborated strategically, using their wealth and power to do everything they can to make sure that we go on emitting carbon. They’ve been helped in this by the growth delusion, and the connection between economic growth and using energy. If we’re going to succeed in moving to a low carbon, resilient and sustainable way of living in the time we have to make a difference, we’ll have to be just as strategic as those who want to go on with the status quo. That means seizing opportunities – and COP21 is a significant opportunity to tell the stories that so need to be heard. That’s a story of possibility, and economies designed to of increase wellbeing both right now and for our children’s children’s children. There is a win/win/win/win economy to be built here. 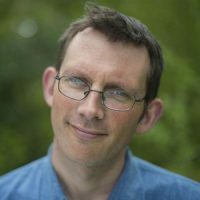 Rather than retreating into the cynical view that COP21 is a waste of everyone’s time, I would suggest that we see it rather as the opportunity to appreciate and to celebrate a transition that is inevitable, that’s already happening and, to quote the late David Fleming, "has the decisive argument in its favour that there will be no alternative". At COP21 I’ll be marching in the Transition Bloc in the Solutions section of the Peoples Climate March on November 29th. I’ll be speaking at whatever events I can to tell some of our 21 Stories, and inviting other people to share theirs. I’ll be doing whatever I can to share this stuff. We will soon be sharing a calendar of events that will be happening in the city if you want to get involved. And I won’t be putting any energy at all into there being a Great Change Moment. What happens is what happens, but something brilliant and historic is already underway, and our message to the Obamas, Camerons and Merkels of this world needs to be that it’s already happening without them, and they need to support and enable it, but even if they do nothing, it will continue to grow, because it’s the future. ’21 Stories of Transition’ can be ordered here. You’ll be glad you did. It has already been described as "the most attractive, simple and accessible output yet that I have seen about Transition".